3Design is one-of-a-kind CAD software, tailored specifically for jewelry design. Available as a bundle together with the Form2. Contact us for more information. 3Design is a one-of-a-kind CAD software, tailored specifically for jewelry design. When making custom jewelry, 3Design is the ideal choice. It offers great parametric capabilities and is multiplatform compatible alongside many more great features. With over 20 years of expertise in the jewelry industry, 3Design has established its presence worldwide. Its unparalleled reputation has made 3Design the go-to software for all jewelers. Based on feedback from 3Design users, the interface is designed to resemble a jeweler’s environment at the workbench. The Interface is clean, elegant and simple to use, to encourage goldsmiths and designers with decades of experience in the trade to use 3Design in their work process. 3Design is developed and updated by an in-house development team as an independent 3D engine. This gives 3Design its outstanding quality and guarantees the best in jewelry design software out on the market today. 3Design offers easy and fast parametric design. All features of your design are saved during the process, making it straightforward to modify a design at a later stage or right in form of the client. This parametric method of working prevents you from having to start from scratch. The power of parametric! 3Desing gives you full control over your designs and makes it easy to share your work with clients in any stage of the process. Makerpoint offers a bundle containing both 3Design software and the Form2 3D printer. 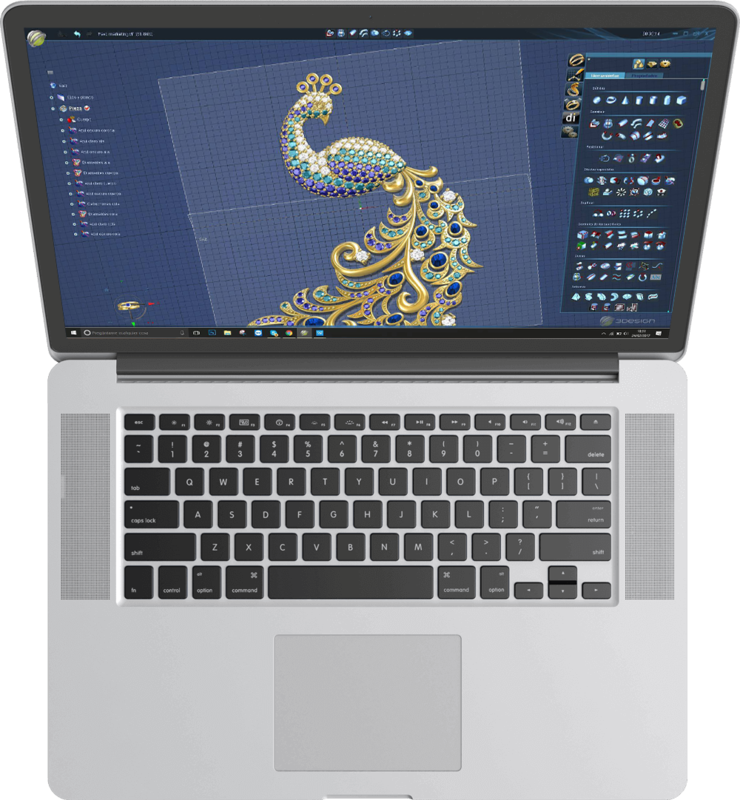 This powerful combination will enable you to work faster and create beautiful intricate designs independent from production partners. Contact us for pricing and additional information.